Rain rain go away - but be careful what you ask for! 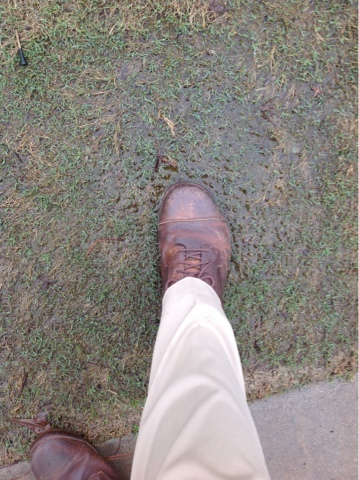 Here is one of many puddles of water at East Lake GC this afternoon after several days of rain and/or cloudy weather. Some casual water is brought up by my foot near the seventh tee. Earlier today the fairways had turned into mini rivers of water. This is actually after about two hours of no rainfall. Looking up the seventh hole you can see the dreary, foggy and overcast appearance that has been all too common so far this year. 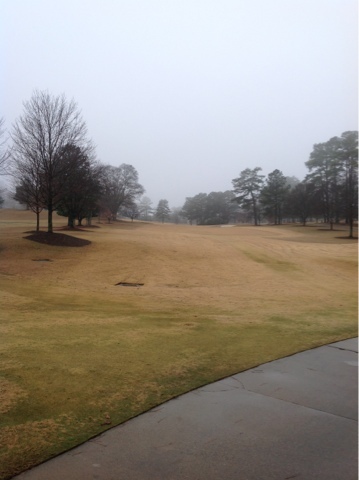 The bermudagrass greens are not enjoying the lack of sunshine and all of the rain any more than we are. We have had a minor disease on the greens called "Cream leaf Blight" for about three weeks now. Dr. Alfredo Martinez at the University of Georgia has identified the pathogen. It typically affects older leaves of the plant, and often will go away with a couple of sunny days. Needless to say, we haven't had enough of sunny days to help it go away, so we will be spraying a second application of fungicide later this week when the rain stops. 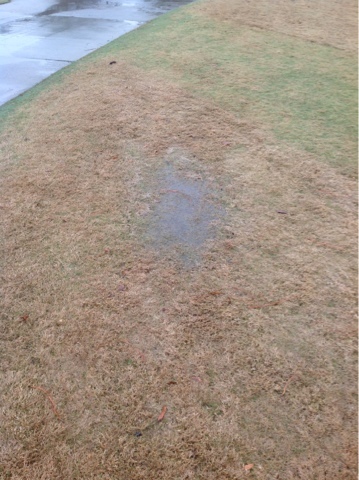 As many of you know, we have an extensive drainage system in the fairways at East Lake. However, no drainage system is a match for continual cloudy days with little sun and consistent rainfall. A few days of sunny weather will dry us up quickly, however, and the benefits of the rain will hopefully carry over into the summer (when we will most likely be wishing for rain!) 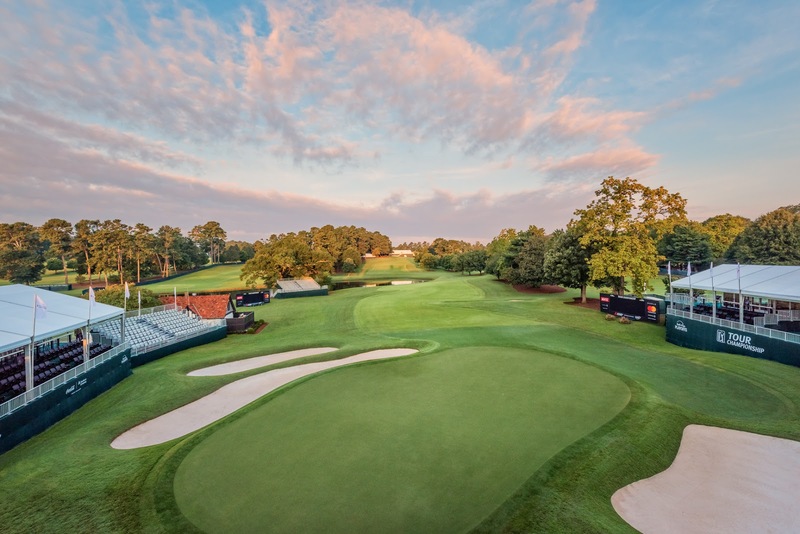 We hope to see sunshine and more golfers soon!